All's fair in lust and seduction . . .
Lark Warren can never stay one person for too long, so when her past starts to catch up to her, she hops the first bus out of DC, steals a new name, and goes deep into hiding in New Orleans. Unfortunately, all it takes is the wrong set of eyes to blow her cover. Enter Vaughn—the man she once let get too close to her real self. Ex-Navy SEAL Vaughn Wilde has one objective: drive Lark back to DC to face charges for identity theft—which would be easier if he could forget the three lust-filled weeks he shared with her before she disappeared. 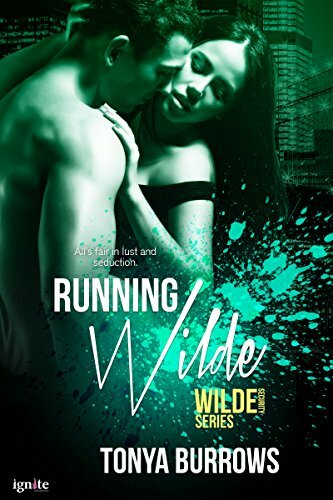 With each passing mile, he can’t ignore the heat still sparking between them . . . or the fact he has led her enemies right to her. Vaughn may be Cam's identical twin but personality wise they couldn't be more different, Vaughn is the intense and broody one who takes life very seriously but that's probably because deep down he feels things more than most and he doesn't want anyone else to realise he's so sensitive. We got a glimpse of the great chemistry between Vaughn and Lark in the previous books but then Lark did a disappearing act leaving Vaughn confused, hurt and angry. Lark has covered her tracks well but Vaughn is nothing if he's not persistent and he is determined to hunt her down and get answers. As it turns out Lark had a very good reason for running and now Vaughn has brought her enemies straight to her door putting her life at risk. No way he's going to walk away and leave her in trouble though so he calls on his brothers and a few friends to help keep her safe. I have to say I absolutely loved Vaughn, in fact I think he might even be my favourite Wilde brother so far which is saying something because they've all been fab! I don't know what it is about a dark and broody hero that does it for me but it totally works in this case, especially when you discover that underneath that tough surface Vaughn has a gooey marshmallow centre. 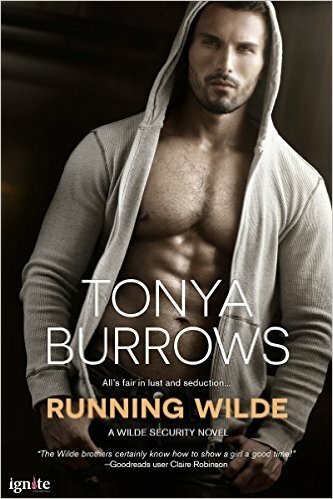 He loves his brothers but watching them all settle down and find love has made him realise how much he is missing out on and just when he thought that he might be about to find the same happiness Lark did a runner on him. He's hurt and angry at what he feels is a betrayal but no matter how much Lark frustrates him all he really wants is to make sure she is safe and well. Oh he likes to pretend that he's planning on handing her over to the authorities for identity theft but we all know he'd never go through with it. I'm not going to tell you about what Lark is running from or whether Vaughn and the others are able to help her fix her problems, you'll just have to read the book if you want to find out, but instead I'll mention how great I thought she was. She's smart, resourceful and a survivor who escaped from a horrendous situation and is now fighting hard keep herself alive. Yes, she's stolen people's identities but she's only ever used their names to find employment and has never run up debts by taking out credit under her assumed identities. It would have been easier for her if she'd been willing to take that extra step but she's not a criminal by choice and all she really wants is to be able to settle down and live an honest life. I did have a few minor issues with the plot but it's really hard to say what it was that bugged me without giving spoilers. I just felt that a few things at the beginning were a little too convenient when you realise how they tie into Lark's past and I also wasn't that pleased with the turn that things took when Cam was captured. I would have liked Lark and Vaughn to have discussed things like adults and for her to have put a little more faith in him from the beginning. Like I said those were minor things though and I still really enjoyed this story. They are a great couple with fantastic chemistry and I was rooting for them to figure out a way to solve Lark's problems. I also loved getting to catch up with the other Wilde brothers as well as a couple of the HORNET boys. I'm hoping that means we're going to get books for Marcus and Jean-Luc sooner rather than later but what I REALLY want to know is where is that elusive final Wilde boy Greer has got to and what kind of trouble he's in?